Ginkgo biloba is an ancient herb that has been used in Chinese medicine for thousands of years. Otherwise known as Maidenhair, the herb is regarded as one of the oldest living tree species in the world. Nowadays, it is one of the best-selling herbal remedies in many parts of the world including Europe and the U.S.
Ginkgo biloba is typically made from the leaves of a very long living tree. This tall hardy tree is able to survive for a thousand years. Growing well over 100 feet in height, its short branches have fan shaped leaves but it also produces an inedible fruit. During the fall, the leaves change into bright colors and they are often planted these days to line urban streets. While the leaves and seeds have long been used in Chinese medicine, more modern research has focused its efforts on a standardized extract of Ginkgo biloba which is made from the tree’s dried leaves. It is a highly concentrated extract which appears to have numerous health benefits especially to treat circulatory issues. Ginkgo biloba contains over 40 chemical compounds only two of which act as a medicine. The two medicinal compounds are flavonoids with antioxidant properties and terpanoids. Studies have demonstrated that flavonoids help protect the heart, the nerves, the blood vessels and the retina. Terpanoids help to improve circulatory blood flow by dilating the blood vessels and making the platelets less sticky. Ginkgo biloba is used widely in Europe to treat dementia. Doctors originally believed that it worked by improving the flow of blood to a patient’s brain however recent research indicates that it can protect cells damaged by Alzheimer’s disease. Improving cognitive functions such as memory, learning and thinking. Making it easier to perform everyday activities. Because of its well-known ability to improve blood flow, ginkgo biloba has been analyzed in people with a condition known as intermittent claudication which is characterized by pain due to poor blood flow into the legs. Sufferers find walking difficult and can feel severe pain. Studies have demonstrated that people taking ginkgo supplements were able to walk considerably further than those given a placebo and that it worked just as well as prescription treatments. One of the benefits of ginkgo when it comes to treating dementia is its ability to alleviate feelings of depression. Because of this, scientists have begun to look at it as a potential herbal remedy for depression in general. While ginkgo may help relieve depression across the board, results up to now show that it is more effective as a treatment in older patients. Studies have demonstrated that ginkgo biloba can help reduce damage to the retinas caused by macular degradation. This is because of its potent antioxidant abilities which help protect against and reverse cell damage. There is considerable interest in the effects of ginkgo biloba extract on stroke prevention as well as treatment following stroke. Ginkgo biloba might prevent blood clots and also increase the flow of blood into the brain. The antioxidant properties of the herb can also help neutralize damage to the brain cells following a stoke giving it the potential to treat stroke victims. READ 9 Science Backed Benefits of Melatonin-Its Not Just for Sleep! Raynaud’s phenomenon is a rare condition which causes the toes and fingers to spasm and is typically brought on by extremely cold weather. It is caused by the blood vessels overreacting to the temperature which deprives the extremities of oxygen. There is evidence that supplementing with a combination of ginkgo biloba extract and CoQ10 can improve overall life quality and improve symptoms in people with fibromyalgia. The condition is characterized by widespread muscular pain and is often accompanied by headaches, fatigue, depression, anxiety and insomnia. Most studies have used between 120 and 240 mg each day divided into smaller doses and have typically used a standardized extract. According to research it can take up to 4 or more weeks to start seeing any benefits from the supplement. Despite the fact that herbal remedies like ginkgo biloba have been used traditionally for thousands of years, care still needs to be taken. Herbs should only be used under proper medical supervision and you should always consult your doctor or herbal expert before taking any herbal remedy. 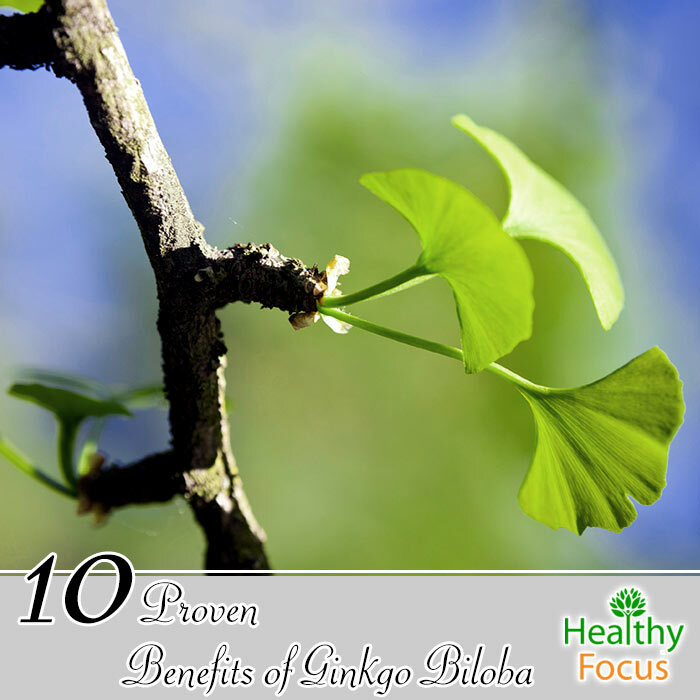 Ginkgo biloba s generally regarded to be safe and few side effects have been reported. Rare side effects include headaches, stomach upset, dizziness and skin irritation. There have also been several reports of ginkgo causing internal bleeding. It is not certain whether this bleeding was caused by the herb itself or a combination with blood thinning medication. Be certain to speak with a doctor of you are currently taking blood thinning medications. You should stop taking this supplement at least a week before surgery or dental operations. Pregnant women should not take ginkgo nor should nursing mothers. Children should not take ginkgo biloba. Epileptic patients should avoid it because it might cause a seizure. Never eat the fruit or the seed.